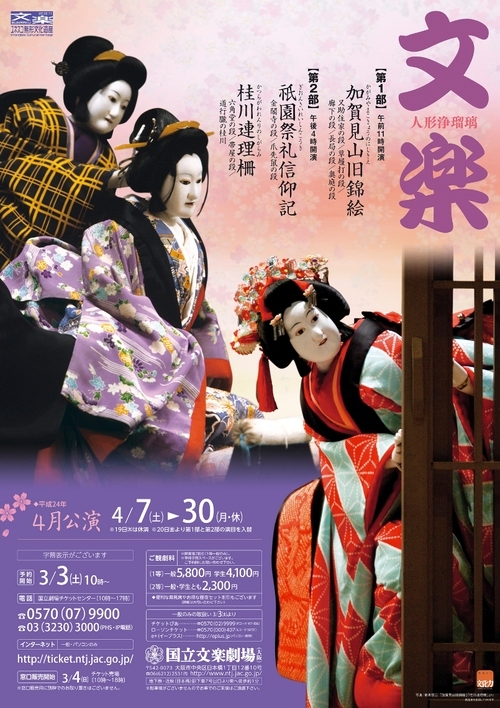 がんばってる文楽　The members of the Bunraku are doing their best. 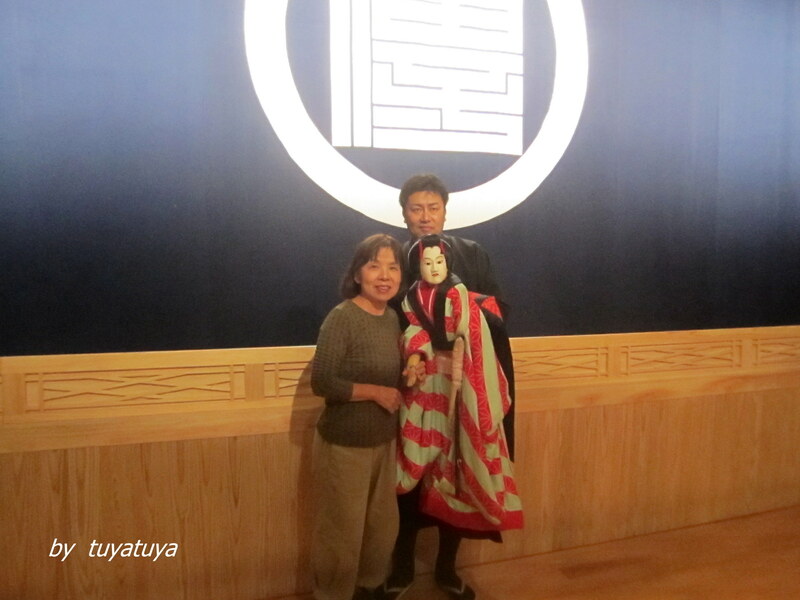 I went to BUNRAKU with my son-in-law's parents. I'm very glad to hear that it was fantastic and everything was new for them. I met my friend there by chance and she wore a migh-T's sweater. "I look 20years younger ! people say to me ! " she said. 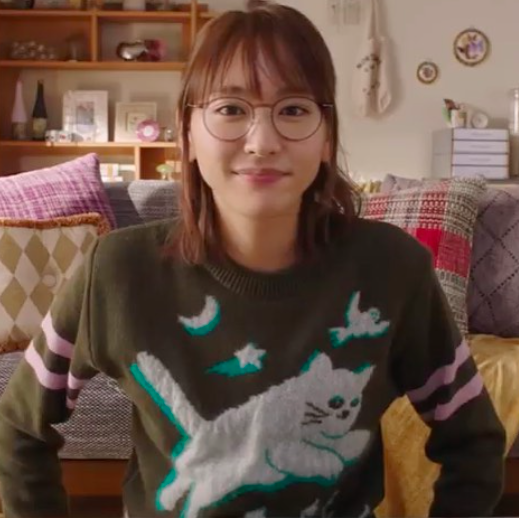 That sweater suits her nicely. I put on Kimono after practice. I could wear very well today. 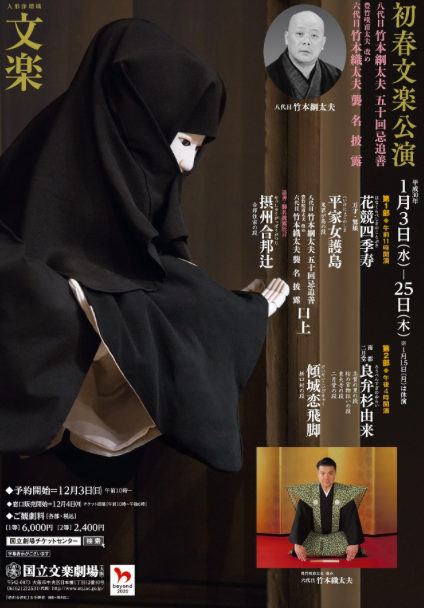 I went to the Bunraku January 2018 performance. 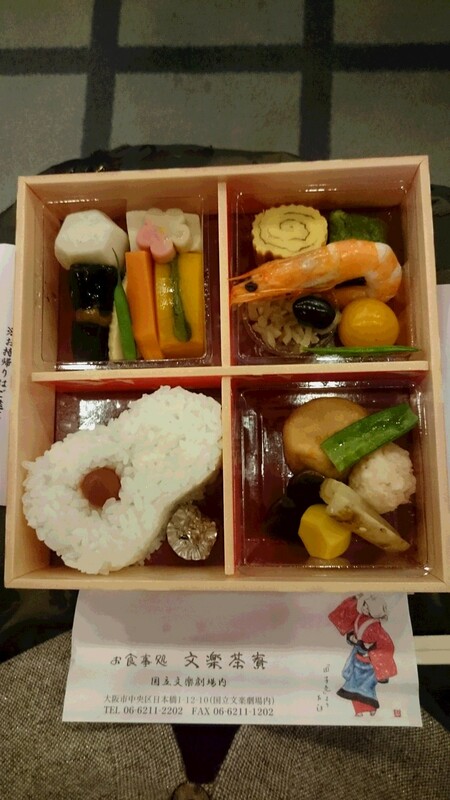 It was good to feel New year. I listened to the statement that 豊竹咲甫太夫 succeed to the name of 六代目竹本織太夫. 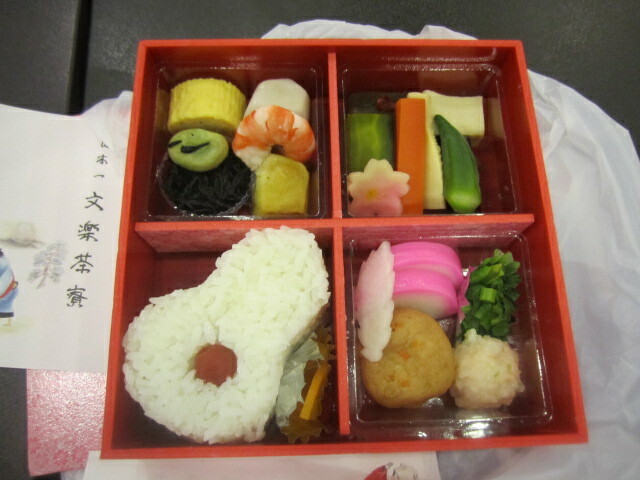 It was the impressive Japanese statement, so we were very lucky to be able to hear that. 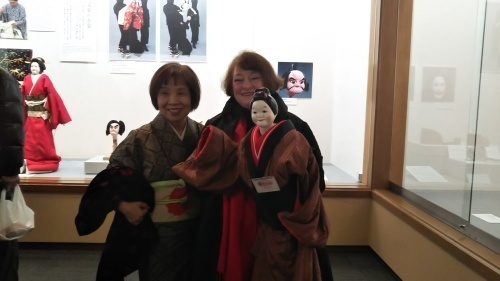 They said to us " Please come to see the Bunraku 2 or 3 times a year at least." 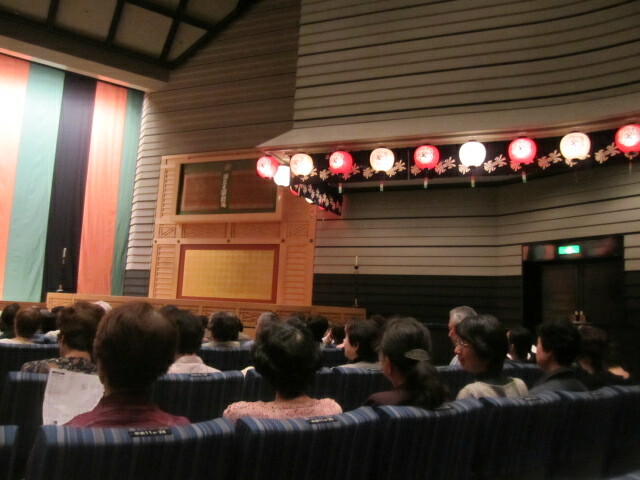 I was attracted by his narrative recitation which synchronized shamisen music and puppetry in the performance. He was giving body and soul to his narrative. 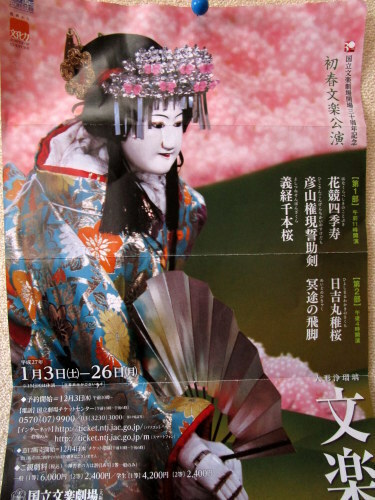 We should help the development and the continuation of Japan arts !! I'll come here again, Please ask me out again." 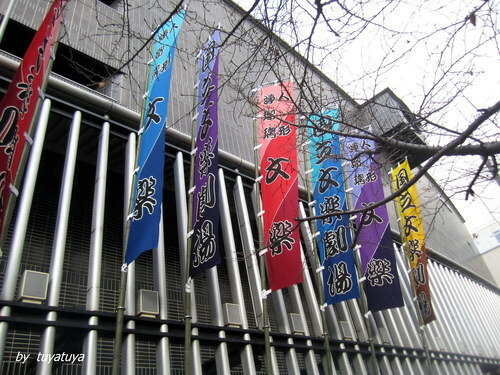 I went to the Bunraku January performance,2015. The puppet's clothes are quite elaborate and luxurious and they look to be alive. 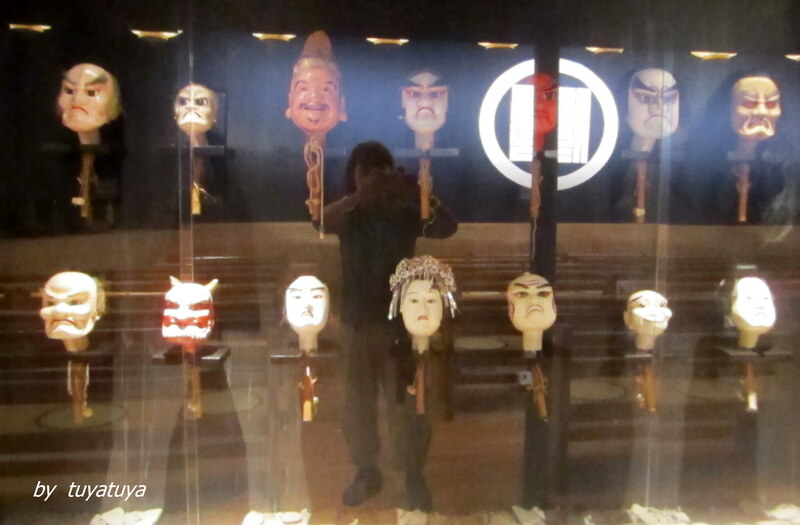 Bunraku invites us to a different world, so it refreshes us very much. Luckily I took a picture with one of the puppets before the performance. 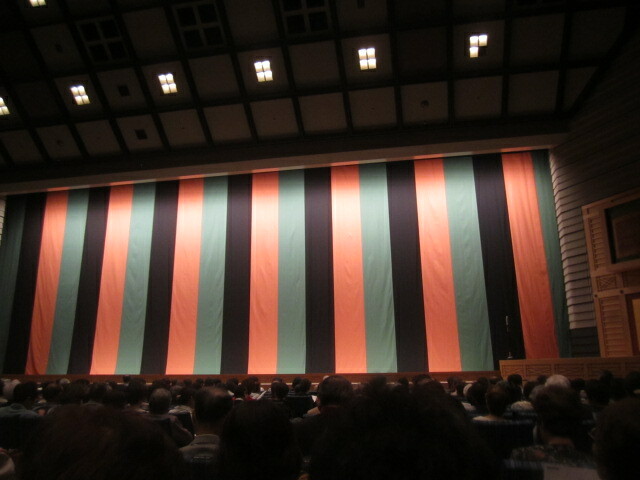 for the Bunraku, because attendances fell off from before. 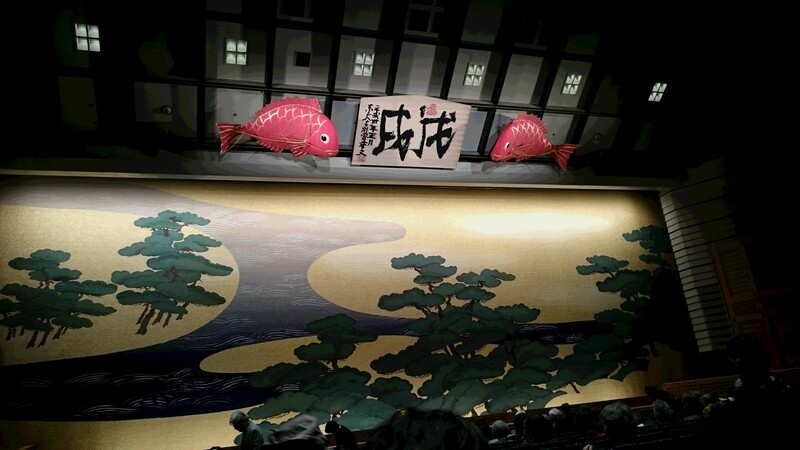 I went to the 2014 January Performance yesterday. It was a luxury to spend time there, and the audience was full. For the first time I saw 3 dolls appearing at the lobby to say Hello! Some attendees were taking pictures with them. 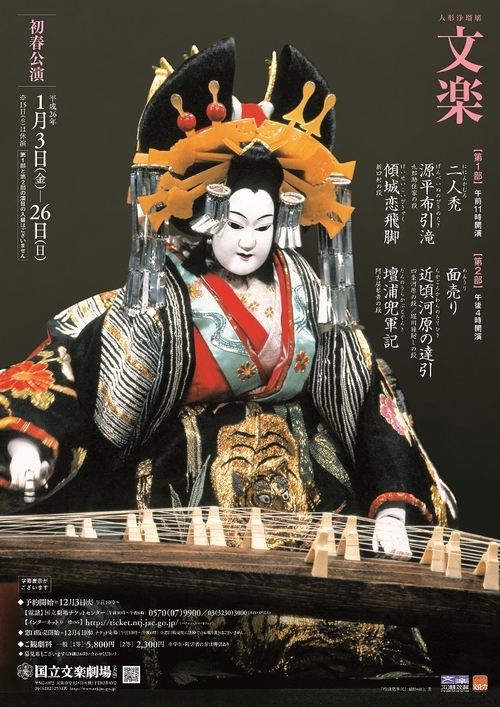 shamisen music and puppetry in performance. How long do they need to practice before a performance? 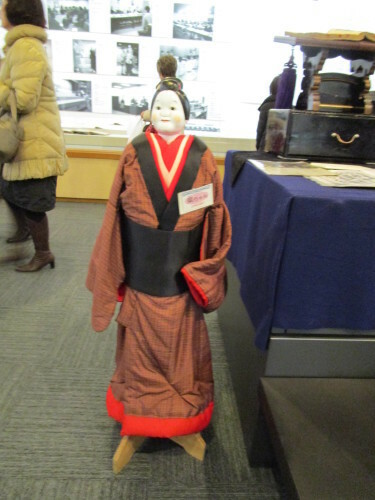 This doll was arrested and made to play the Koto,shamisen and kokyu. She played them superbly with music. It looked as if she really played the instruments. 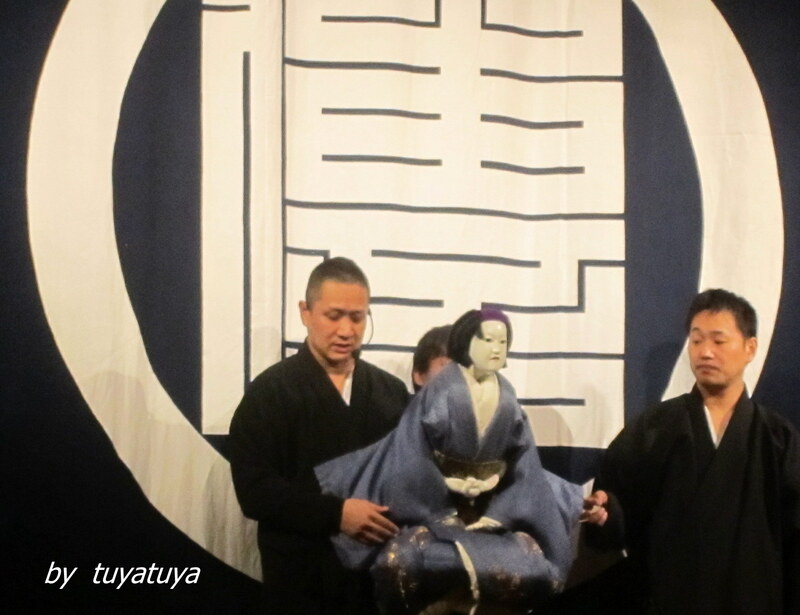 3 puppeteers are required to operate a Bunraku doll. 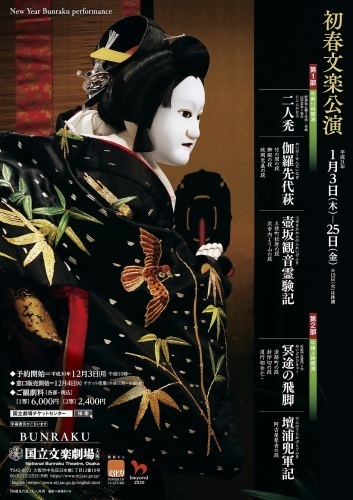 the development and continuation of the Bunraku. 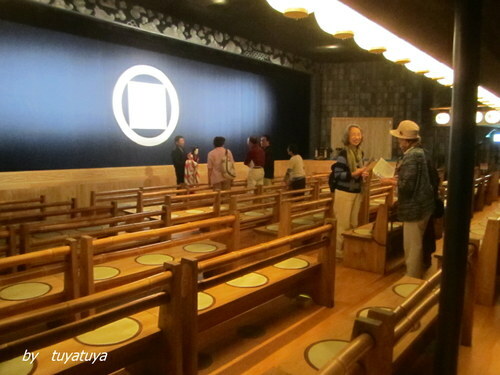 If you visit Awajishima, you should go to "the puppet play theater"
The new hall opened 2 months ago. 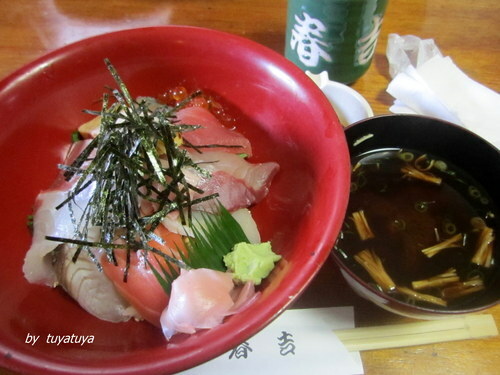 It's located facing Fukura Port. 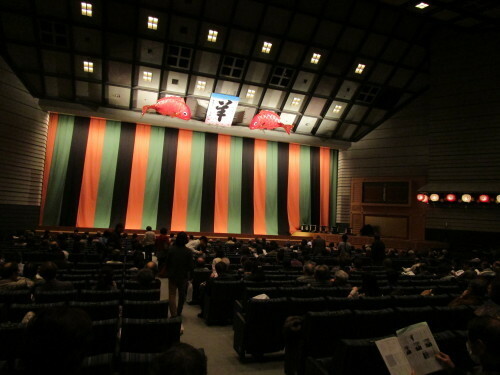 We had a chance to see " Bunraku" on this trip. the Hidaka river to see her boyfriend. secretly not to do it. and then she changed into a big snake to get across the river. The stage settings were very interesting. It was a luxury to spend time there for 10 people in the audience. After the play we took photos with a puppet. 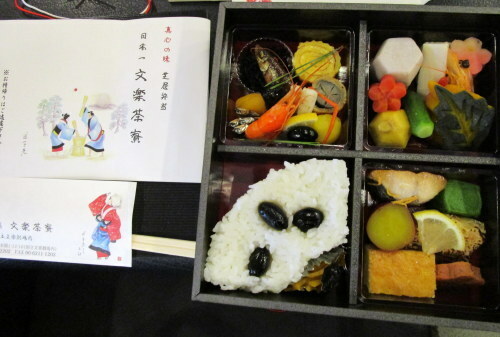 We should help the development and the continuation of Japanese arts.